After taking off the month of October for Bad Moon Rising, it seems like forever since I participated in this. 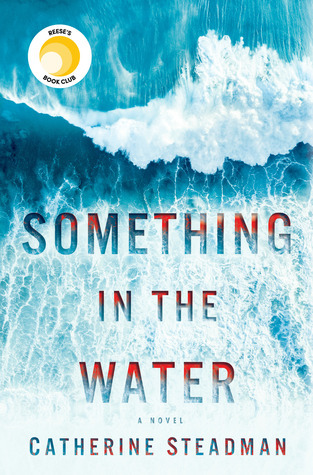 Anyhoo, I’m currently reading Something in the Water by Catherine Steadman for one of my book clubs. We meet this Saturday, and I’m only on page 67. So, yeah. I’m really struggling with this one. Other than the first few pages, which is really more of a prologue, nothing much has happened. It’s all backstory. I’m still hopeful, because the reviews are pretty good. I recently finished What You Hide by Natalie D. Richards. Friends, I enjoyed the heck out of this book. With a library setting (perfect!) where strange things are going on, I couldn’t put this one down. It also tackles some tough issues such as homelessness, emotional abuse, and unsafe home environments. 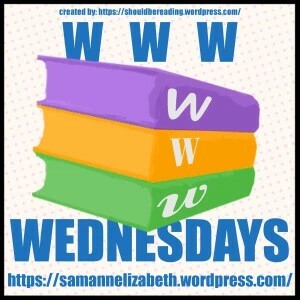 Add this one to your TBR! Next, I’ll read The Diviners by Libba Bray. I’ve picked this up a few times, but then had to drop it for other book commitments. It fits this month’s theme for my other book club, and I’d determined to finish it. The cover of WHAT YOU HIDE really draws me in. I can’t wait to hear what you think about it. I couldn’t put this one down, Staci – read it in two days. And that’s while also doing NaNoWriMo. Something in the Water looks great! It’s a slow mover, Terry, and I’m really frustrated with the MC – she makes some horrible decisions. 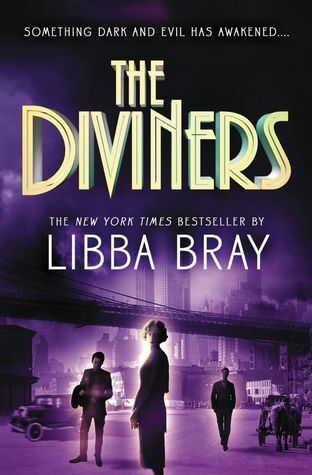 I’ve heard great things about Libba Bray, and especially about the Diviners! I’ll be curious to hear your thoughts. Happy reading! Someone else in my book club just rated it 4.5 stars and she can be hard to please, so I have high hopes, Victoria. That’s great! I hope you enjoy it, happy reading! Sinister things in a library. What more could I want? I look forward to your review of that one, Teri. I always enjoy these posts from you. Hugs! I know, right? As long as there’s no burning or destroying of books involved, it’s perfect. Hugs Teagan! These all look good…especially Something in the Water. Enjoy your week, and thanks for visiting my blog. We’ll see how it goes – hoping it picks up. Thanks, Laurel-Rain! Unless something happens soon, I have a feeling I’ll be in a minority at book club as far as enjoying this book. It’s feeling more like a chore. Thanks, Jenn! It was sooo good – I plowed through that one so fast! So many books *sigh* – know what you mean, Sarah. I’ve debated picking up SOMETHING IN THE WATER multiple times, but several of the reviews had me changing my mind. I’ll be curious to see what you think of it. I just had to DNF a book by one of my auto-buy authors who is a NYT bestseller. I’ve loved everything she’s written, but this one—ugh! I slogged through the first 25% before finally giving up. And it’s one of the picks for Book of the Year on GR under fiction! Though rare and disappointing, sometimes that happens with auto-buy authors. I’m a big King fan – admittedly I’m a bit behind, but I gave up on a couple of his years ago. I’ve been voting on GR also – some of my favs are nominated! I love hearing (reading?) what other people are reading and what they think! I am trying hard not to add the upcoming What You Hide to my TBR because it looks so good but I’m full up. I suspect when the reviews start rolling in i’ll want to read it in early 2019. I’ve decided I’m fighting a losing battle with my TBR, Priscilla. 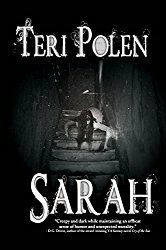 in the past few weeks, I’ve bought a few books and requested several more on NetGalley. Can’t believe it’s taken me this long to get to it – hope you don’t take as long as I did, Louise! I’ve seen Something in the Water mentioned in a few places. I didn’t realize it’s Catherine Steadman’s debut novel. I thought I had read something by her already, but I must be thinking of someone else. I think I would like this one! I’m about halfway through, and I’m still wavering on this one, Barbara. If it wasn’t for a book club, I’m not sure I’d finish it, but that’s just me. 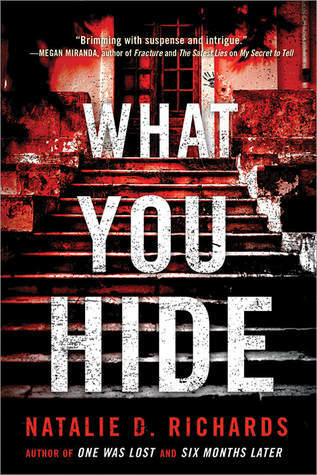 OMG ‘What You Hide’ looks very tempting. 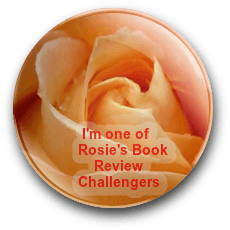 I’ll definitely add it to my TBR! It had me completely hooked after the first few pages, Vinny – hope you enjoy it! Ooh, Something in the Water sounds really intriguing. Did you get through it in the end? I have had the Diviners on my TBR for ages. Looking forward to hearing your thoughts! Sorry I’m so late replying, Emily – just saw the comment. I finished the book (skimmed), and at book club, it was a unanimous thumbs down on this one. The issues brought up were plausibility of some of the plot points, and actions the MC took. The Diviners has been a great read so far! Things are just starting to heat up with the supernatural activities. I like the sound of The Diviners, Teri. I am listening to Pink Matters by Olga Nunez and reading Atonement in Tennessee by Teagan Geneviene. The Diviners is really getting interesting, Robbie. I haven’t read Olga’s book, but I’m a big fan of Atonement – love those quirky, supernatural towns.